You have your rough draft finished. Now the tough part. You know you are not that skilled in grammar and usage, and your essays and papers tend to get lower grades because of this failing. Consider yourself lucky to be living in this technological age. Students before you had to live with their writing deficits or find some trusted friend to do their editing for them. You don’t. There are now great apps and tools that will make all of those corrections for you, and here’s 7 that you can begin to use today. You will never again have to submit a piece of writing that is not completely polished and ready for a good grade. This is a great app, if you want flexibility in pricing for what your specific needs are. There is one version that is totallly free and that will provide 19 reports related to verb tense, subject-verb agreement, awkward phrasing, sentence structure errors, mechanics, and so forth. You do have a word limit – 3000 in fact – which translates to about a 12-page essay or paper. And there is no interactive editing. Your errors will be pointed out and you will be responsible for fixing them. 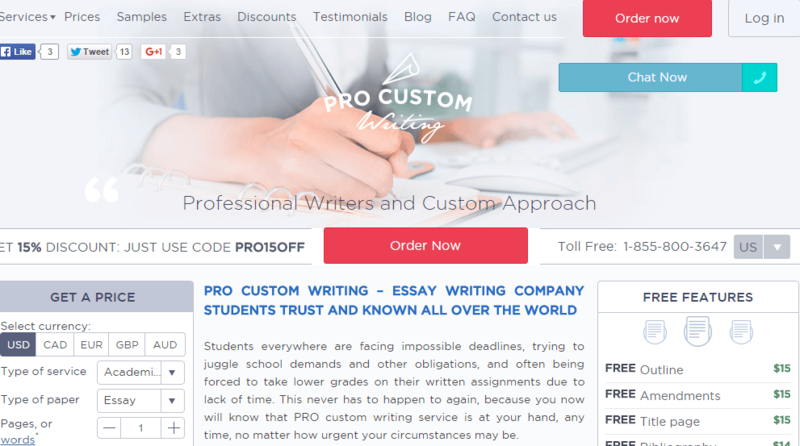 But, if you can cough up $35 a year, you will have an unlimited number of pages and you will get interactive editing – you will receive suggestions for repairing your errors, and you can choose to accept them or not. For an additional $5/year, you will get the “whole enchilada” which would be particularly useful for grad students working on theses and dissertations. This app is so user friendly. Once you are registered with username and password, all you do is log in and upload your document. Grammarly takes care of all the rest. As you can see from the screen shot above, it will underline errors and place the corrections in the right margin. You can edit you work right there. 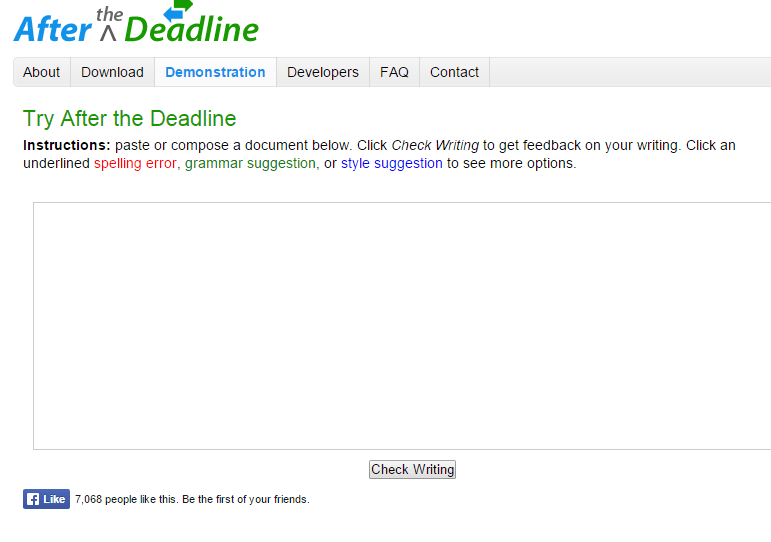 Grammarly has a plagiarism check that can be activated with just one click too. The free version does not allow for all of the features, of course, but for $49, you have a permanent piece of software with unlimited usage. This app is great for students from high school forward, and is especially great for college students who are anticipating several years of academic study. This app is titled “Hemingway,” after the author who was famous for simple sentences and brevity of language to get his point across. There are 5 categories of editing, each one color coded. When there is a grammar error, you will see the problem lit up in blue. If you have sentences that are to complex and cumbersome, they will be highlighted in red. And once all that highlighting is finished, there will be suggestions. Hemingway also gives you a readability level which is particularly important for college students. There is a free web app which will give you basic editing in the cloud, but you cannot save your pieces. For $6.99, however, you can download the app either on Mac or Windows devices. 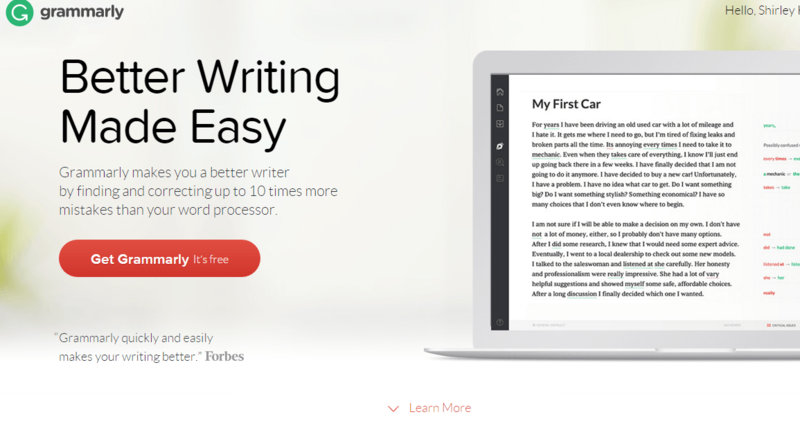 This is a tool that works much like Grammarly or Hemingway, but really focuses in on grammar, spelling, and punctuation. While it will point out run-on sentences and fragments, it will not point out awkwardness of phrasing and such unless you upgrade. 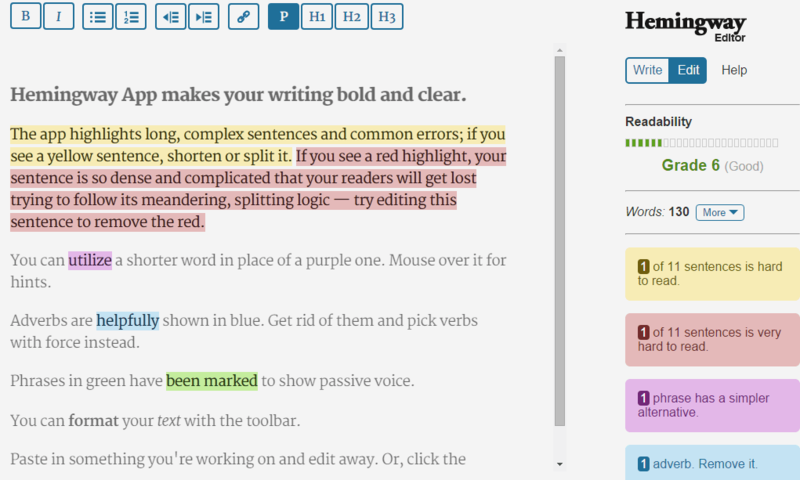 It too has color-coded messages that underline errors and provides the grammar rule that applies. It is then up to you to make the corrections based upon the grammar rule. This app is free, but if you want the “fixes” given as well, you will need to upgrade to the paid version. Students should know that this app does not differentiate among American, British and Canadian English, and this might be a bit of a drawback. But, if you have a separate spellcheck feature on your word processing program, spelling should not be an issue. 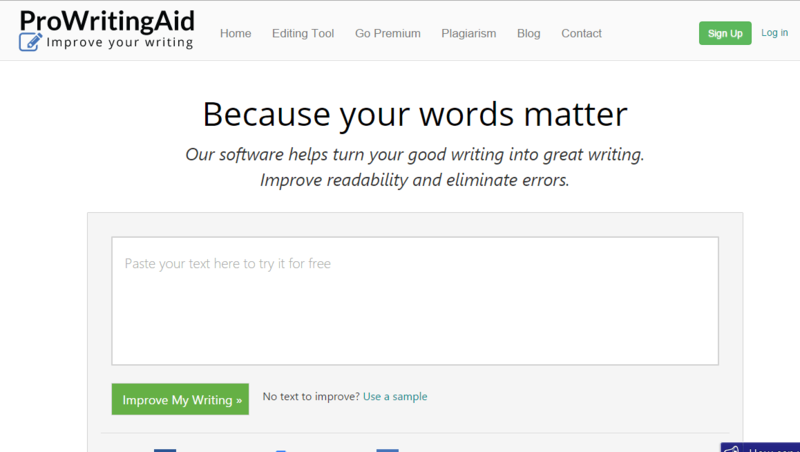 This is an app for copywriters, students, business writers – anyone who must have polished writing for the view of others. It operates much like other editing tools. Check out the demo before you decide if you want to purchase this app – there are options pricing levels based upon how much editing/polishing you want. Bibliographies are no longer a problem with this app. All you do is type in the bibliographical information, choose your citation style, and this free app generates a citation which you can then just copy and paste into your bibliography page. If you want to save your citations, you will have to upgrade to the paid version.